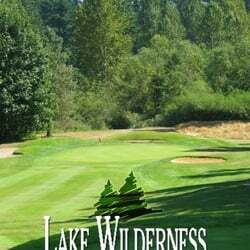 Lake Wilderness Golf Course, Maple Valley, Washington - Golf course information and reviews. A nice, mental tough, 18 with few hazards, but tough rolling hills make play very strategic. Add a course review for Lake Wilderness Golf Course. Edit/Delete course review for Lake Wilderness Golf Course.